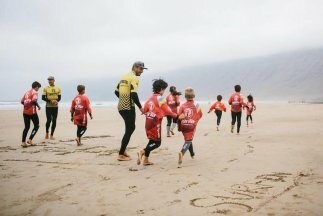 Summer is already here in Lanzarote, and once again at La Santa Surf Procenter this year 2018 we are going to enjoy with the Summer Surf Camp for children living in Lanzarote. 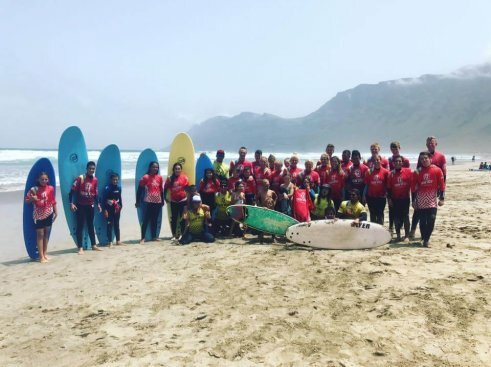 A different way to spend a few days practicing and learning a fun sport in the water. 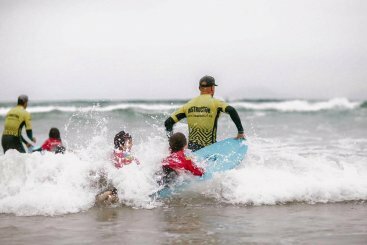 La Caleta de Famara is an ideal place for surfing it has a large space and security for children. 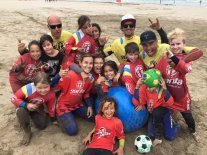 Our monitors will take care during the 4 hours of the daily course of playing games in the sand, teach basic concepts of surfing, go to the water with the surfboards, teach them how to catch their first waves. In addition to having a break to eat a sandwich mid-morning. 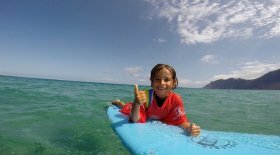 The courses are designed for children living on the island of Lanzarote, so the price is special and adapted for families on the island.